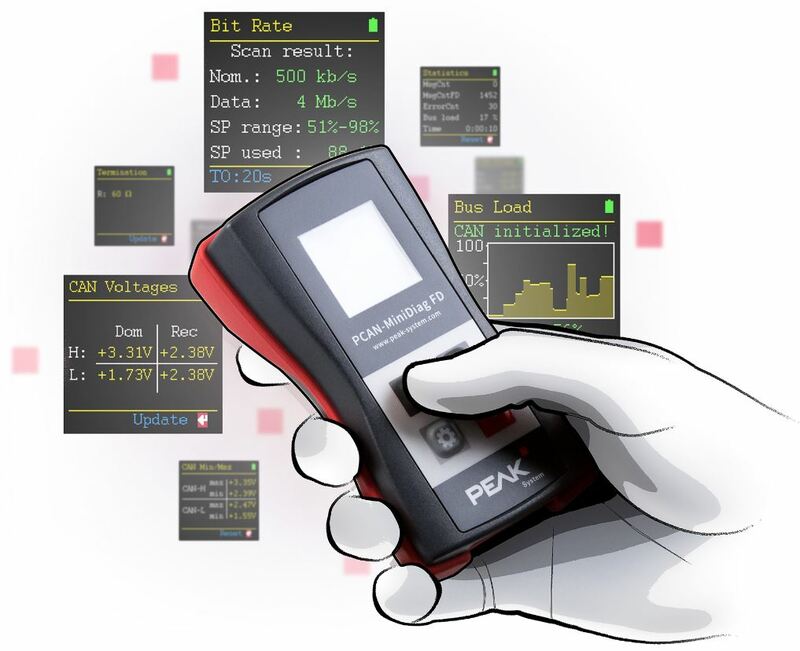 PCAN-MiniDiag FD is a handheld device for the basic diagnosis and fast checking of CAN and CAN FD buses. The battery-powered device has functions which show, for example, the termination, bus load, message and error counters as well as the levels at the CAN connection. In particular, for the first time, users can access any CAN network in a matter of seconds with the innovative transmission rate detection. More precisely, bit timing measurements are used to determine the nominal bit rate for CAN and the data bit rate for CAN FD.